Banner / Link on your Website to Catalog Pages. Options 1 Case of each 1. Fiberglass Prod. 6. (Retail Packaging) 1. Fiberglass Prod. Aurora Customers are Number 1. We put our Customers 1st and insist that our Dealers treat our customers the same way that we do. 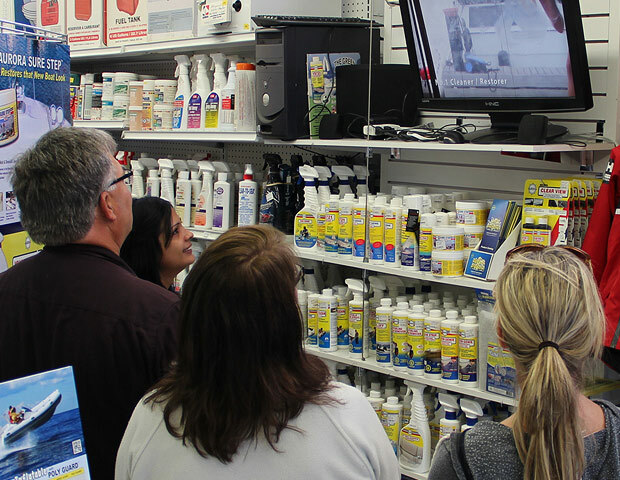 Not only do we want to provide the Best Boat Care Products available, but we want every one of our customersto have a positive and memorable experience using them. Our Website is full of helpful information, in print, visual and video format to help insure that our customers get what they expect. We even go so far as guaranteeing that our customers will be 100% Satisfied or we give them their money back. (In 36 years, we’ve only had 36 returns). We’re passionate about boats! We believe that boats are beautiful. They’re works of art on the water that give us great personal pleasure, especially when they’re clean and shiny. Our passion is to restore all boats to their former glory and to keep new boats looking new forever. 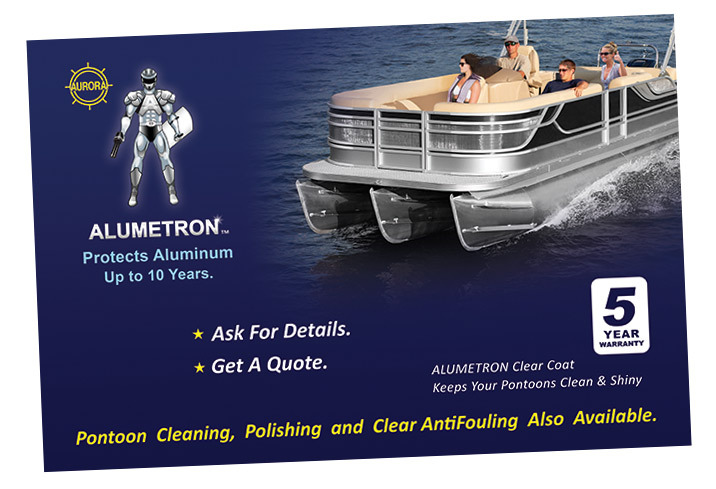 Dealer Advertising: Boat owners are also passionate about their boats. They want them to look clean and shiny and don’t want to make a career of keeping them that way. Today, consumers do their research on-line before ever making a buying decision. 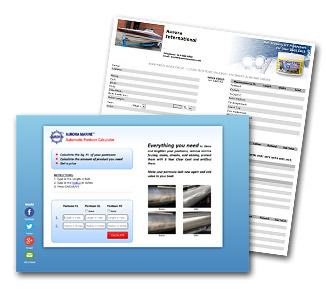 Our website is extremely popular in the boat maintenance category and is chock full of information that boat owners are hungry for. The Ask the Skipper blog, a compilation of questions from boat owners and our answers, has had close to 2 Million views at the time of this writing. 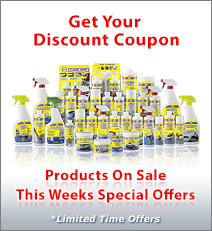 We advertise our Dealers on our Website for the convenience of our customers. 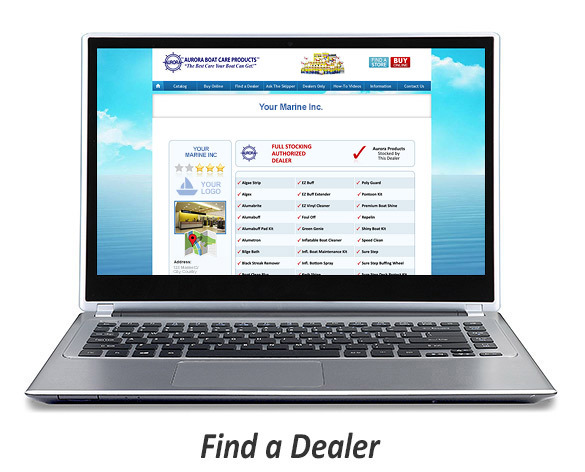 The Find a Dealer portal on our Website is the 4th most popular destination, after the Ask the Skipper, How to Videos and Catalog Pages. Once boat owners know what they want, over 90% search for a dealer near them first, so they can rush over and buy. Only when there is no dealer near them do they buy on-line. The truth is that most boat owners would still prefer to buy from, and support, their local marine dealer. Dealers tell us that they get more store traffic from their Aurora Ads that from all their local advertising. 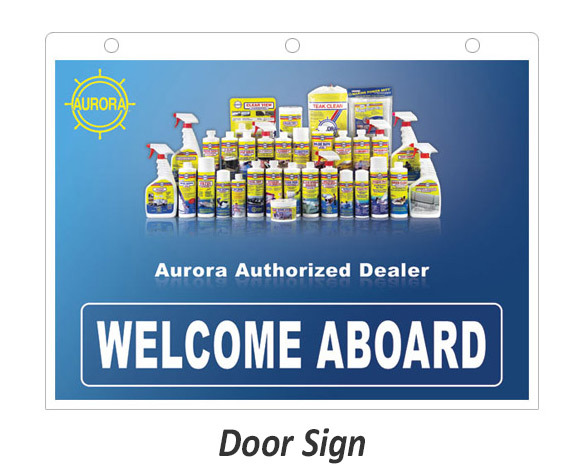 Dealer Rating: We want our Customers to have a positive experience with Aurora Boat Care Products and that includes being able to purchase them with complete confidence, that’s why we rate our dealers. Those that provide the greatest range of products and the highest level of service are rewarded with a higher rating and more benefits for their dealership. After doing their research and visiting our Website, customers know what they want and are ready to buy. Our customers must make a commitment in time and money to drive to your dealership to get the products or service that they want from you. It’s unfair to disappoint them when they get there. Their disappointment also means losing a customer and the money they want to spend with you, today and in the future. Unfortunately, this also reflects poorly on Aurora Marine. Our biggest complaint is “Why don’t you have a dealer near me so I can pop over and buy what I need? It would be so much more convenient that buying on-line, paying for shipping and waiting for delivery”. The reason that we rate our dealers and advertise the products they stock and the services they provide, is so that our customers know what to expect when they get to your dealership or order on-line from you. We use a combination of a 5 Star Rating and Authorized Dealer rating system, for the convenience of our customers and the benefit of our dealers. The higher the rating, the more customers you can expect and the more business and profit you will earn. 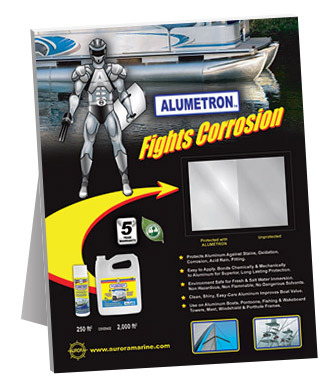 It’s not unusual for a customer to drive to an Aurora Dealer to get a bottle of Boat Scrub and wind up buying a new boat or outboard motor that he saw on the showroom floor, or to ask the service manager if he would give him a quotefor shining up and protecting the pontoons on his boat. If the customer didn’t come into the showroom, they wouldn’t have seen the new boat or motor or asked for a quote from the service manager and would not have bought, at least not from that dealer. 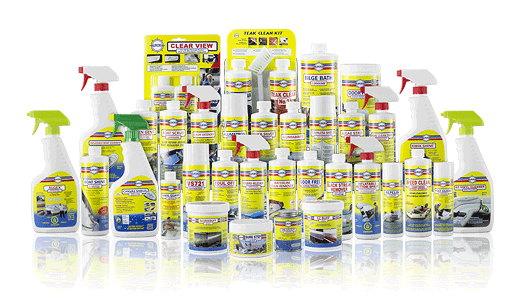 Savvy marine dealers know that like grease and oil, boat maintenance products are a necessity of boat ownership. They get the customer into your store and you don’t have to pay for advertising to get them there. Selling high quality products, that are guaranteed to work, keeps them coming back, season after season. If you don’t provide these products and services, someone else will. 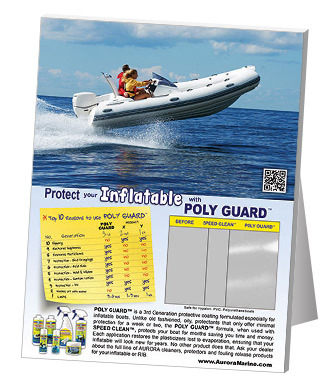 AUTHORIZED DEALERSHIP: Authorize Aurora Dealers carry a comprehensive line of Aurora System Matched products for the categories that they specialize in: Fiberglass Boats, Aluminum and Pontoon Boats, Inflatable and RIB boats. Customers can be reasonably confident that they can get what they need and want from an Authorized Dealer because they stock a comprehensive line of the products related to those categories. 5 STAR RATING: Our Dealers are rated from 1 to 5 Stars, based on the quantity of products that they stock. The more stars, the more confident the customer will be that they can get the Aurora products that they want and they won’t be out of stock or backordered. The more stars a dealer has, the more successful they will be and the more money and profit they will make.